Your pizza's utensils, compliments of Air Canada? I called a new local restaurant to order delivery pizza with a side of poutine. The staff was friendly, the pizza was delicious. 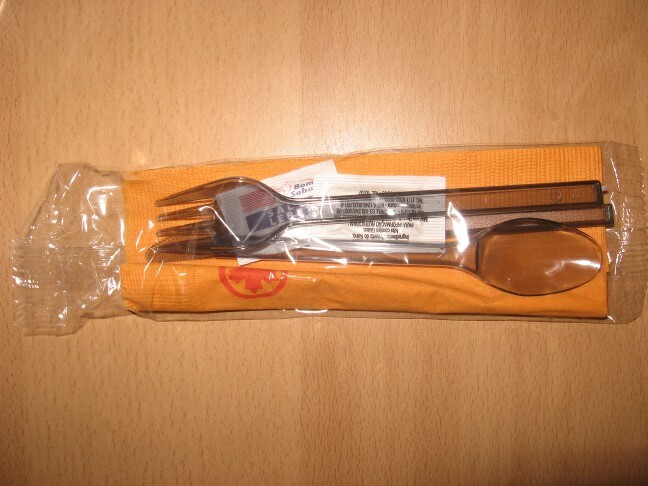 But, I got quite an unexpected surprise with my meal, in the form of a disposable utensils pack. Due to popular demand, two Air Canada commercials from 2009 featuring fingertip painting.